Your Hospitals is our hospital newspaper that is now sent out four times a year with the Warrington Guardian and the Runcorn and Widnes World newspapers across the majority of our borough. You can view the latest edition (and all of our back issues) here. 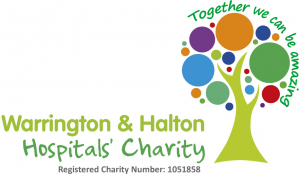 We aim to provide a mix of informative news, health promotion topics and membership related information so you know what's happening at Warrington and Halton hospitals. You can access the PDF versions of editions on this page. The latest edition of Your Hospitals. Our new style hospital newspaper - with information around our vision for our hospitals, year end results, and how you can get involved in ways to help your local hospital. This edition was distributed in the Warrington Guardian and Runcorn World in December 2016. This edition was distributed in the Warrington Guardian and Runcorn World in September 2016. This edition was distributed in the Warrington Guardian and Runcorn World in June 2016. Info on Sally Lindsay's visit to us, urgent care and more! Featuring our Forget Me Not dementia ward, governor elections 2014 and more. Featuring new nursing uniforms, our open day and the £450k refurbishment of our Labour Ward. Results of the CQC unannounced inspections, introducing the Friends and Family Test, Thank You Awards nominations, Discharge survey and much more. Introducing the acute medical unit, our new home for Orthopaedic Surgery at the CMTC and a quality update. Featuring Governor ward inspections, trust staff at the Olympics and £1.4 million A&E boost for Warrington. Featuring Christmas on the children's ward with Kerry Katona, hospital open day and more. Summary annual report and accounts special from the 2011 annual members' meeting. Includes CQC report into elderly care, responding to merger rumours and reduction in C-diff infection cases. Featuring vascular services, annual staff award winners, new governors and your membership survey 2011. Reporting back on the annual members' meeting 2010, communicating with your governor and your health events. Improving quality at your hospitals, our new endoscopy unit and hospital infection numbers cut. Featuring the review of the year, hospital scores in the national patient environment access team annual assessments and more.